#HappyEaster I hope you've all had a fantastic Easter so far and have enjoyed spending time with your loved ones! 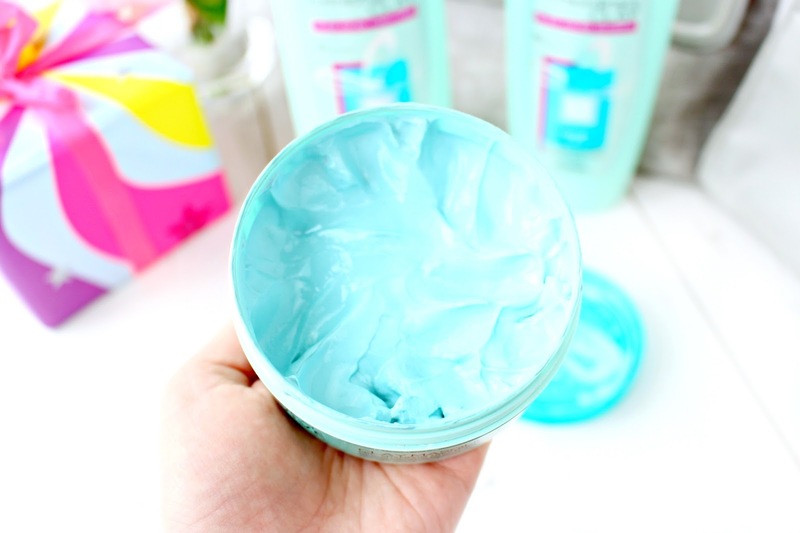 I've been meaning to write this post up for a little while, I mean who doesn't love a good old face mask? There's something really special about applying your favourite face mask and slipping away into a little beauty zen. I especially love to pay attention to the scents, textures and results when looking for a new favourite mask and I've come up with a few for you that give fantastic results. I hope you enjoy this post my loves and I would love to hear from you in the comments section below. You can also use my Social Media icons if you would like to get in touch a little quicker. 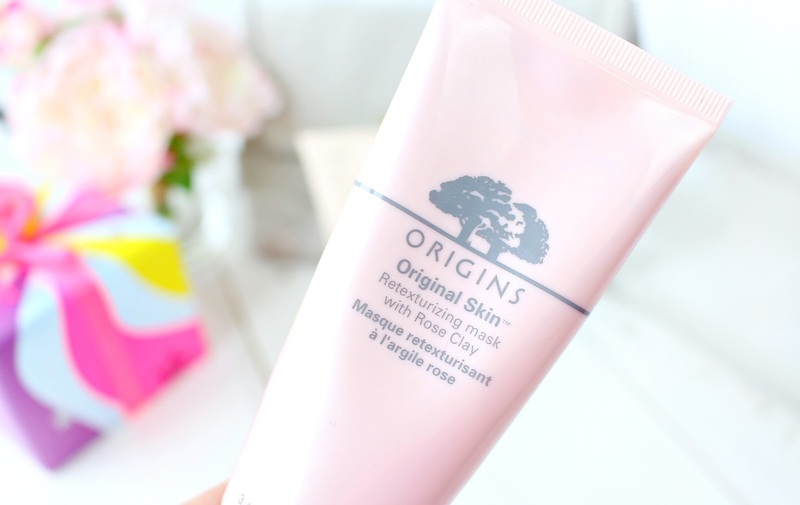 Made with Mediterranean Rose Clay, Canadian Willow Herb and exfoliating Jojoba beads, Origins Original Skin Mask is a great way to deep clean, whilst treating your skin at the same time. 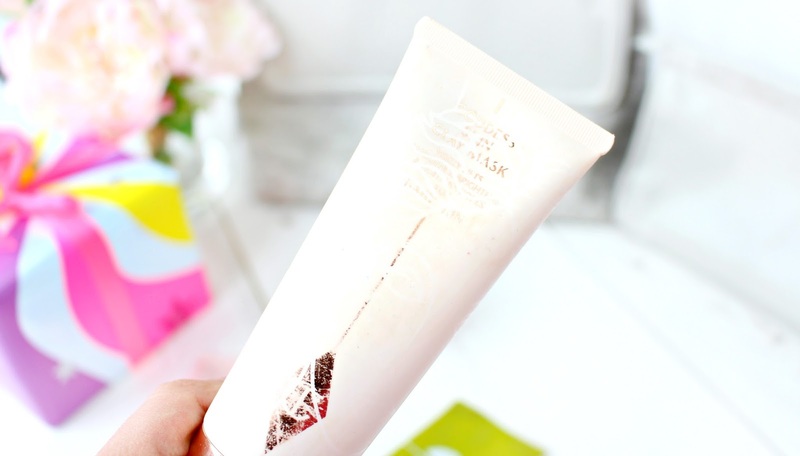 I love using this mask when my skin is looking a little tired and needs more than just a face mask! The Original Skin Mask features Jojoba beads, which makes this mask double up as an exfoliator. I leave the mask on for around 15 minutes and then splash some water on my face to start to loosen the mask. My skin is left looking refined and noticeably radiant, this is one to go for if you need to get your glow back. 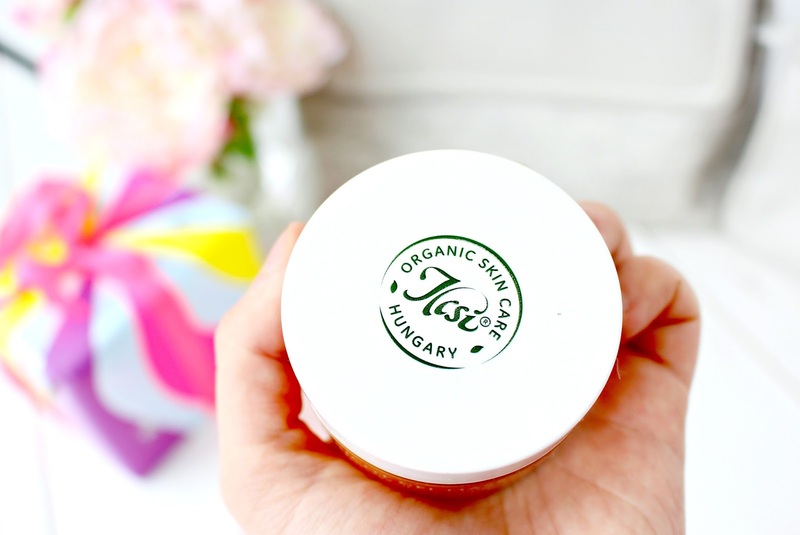 The Apricot Gel Mask is a real gem and was founded by "Aunt IIcsi" who's family are associated with the finest Hungarian skin care. Each batch is made to order to capture the potency of the botanical actives within this mask making sure that maximum results can be achieved. This mask is intensely hydrating and is great for skin deficient of water and vitamins. Apricots are known for their high flavnoid and vitamin content, which feels cells and gives them the ability to do what they're supposed to (Keeping the skin luminous, smooth and full of vitality) I use this a few times a month as it's pretty potent, but it does such a good job of filling my skin back up with all the goodness it needs. I first tried this whilst I was getting my make-up applied for the 2015 Cosmo Blog Awards. My lovely MUA kindly treated me to this gorgeous mask along with a little face massage to really prep my skin for my evening make-up. The difference in my skin was just insane, I honestly could not leave it! I know the lighting is suited to enhance the product, but it was just amazing! My skin prior to the mask was slightly red in places and a little flat looking and after 10 minutes it was plump, glowing and ready to party. The Goddess Skin Caly Mask features Spanish clay, Sweet Almond and Rose hip Oil and an array of essential oils and Frangipani to soothe the skin and remove impurities without drying. I always use this mask as a "Pick Me Up" If I'm lacking in hydration, or need a pre event boost then this is my secret weapon to plump, vibrant looking skin. For me Origins totally have face masks down. 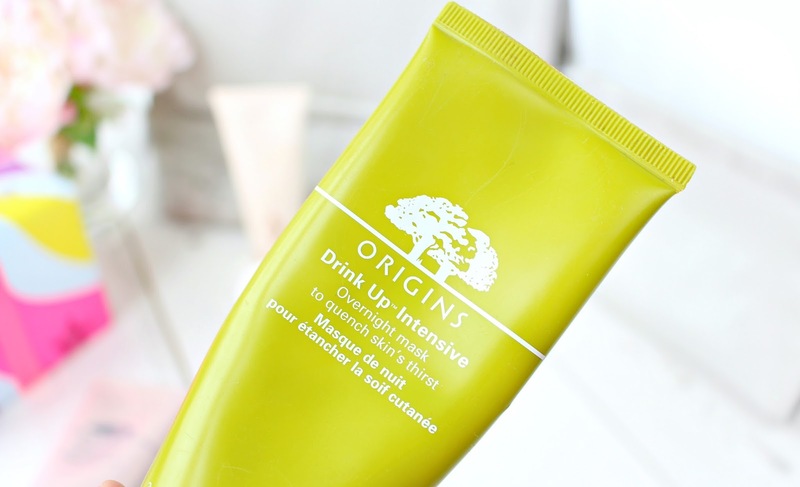 I don't think I've ever tried an Origins mask that I have been disappointed with, but my long-term favourite is definitely the Drink Up Intensive Overnight Mask. I try to apply this once/twice a week before bed and I wake up with bright & rejuvenated looking skin. Japanese Seaweed repairs the skin's barrier and helps to prevent future dehydration and signs of ageing. I've noticed my skin become slightly dryer during my early twenties and this is one product that really does help! It's nice to have a mask that you can also use overnight, and I find applying it before bed along with my favourite lip balm and pillow spray a really relaxing way to end the evening. Overall, I think all these masks are great and have experienced great results from all of them. 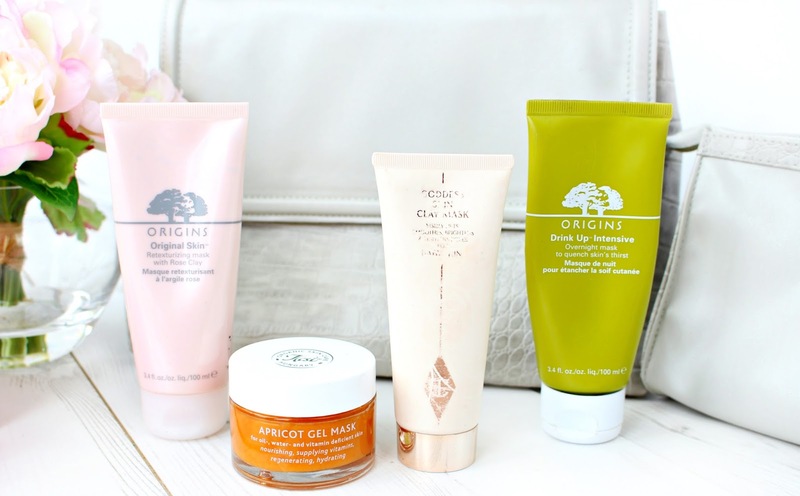 My current favourite is definitely the Goddess Skin Clay Mask, but you really can't go with an Origins mask either! If you're in the market for a treat and something a little more niche then I would 100% recommend checking out IIcsi masks, which can be found on Cult Beauty. I would love to know what mask you would pick from the ones I have written about today! Happy Easter Holidays! Today's post is all about sharing the love and supporting one of my best friends Aislinn from LippyInTheCity. We actually work together and very quickly became friends when she joined our workplace last year. We have so much in common.. We blog and love anything to do with beauty, handbags, travel, cars and well pretty much everything else in-between. Recently, Aislinn founded her own business called Candles In The City and It would mean SO much to me (and her) if you stopped by her blog & etsy page. The thing I love the most about blogging is supporting others (forget any negative vibes) I'm all for the love of supporting each other and helping one another grow. I hope you enjoy this post my loves and I would love to hear from you in the comments section below. The Candles In The City collection currently consists of two candles (soon to grow) but I can assure you they are both equally gorgeous. Initially, my favourite was Parisian Vanilla, which smells very comforting and almost quite milky! It's a lovely natural take on Vanilla and definitely wont leave you feeling sickly. However, Fresh Lavender is also beautiful and I particularly love the way that this candle has been poured with lavender sprinkled on top! I love to burn Fresh Lavender during or just after my bath, as the scent is very relaxing and again not an overpowering "Old" type of lavender. Aislinn makes her candles using natural soy wax, essential oils and un-dyed cotton wicks, which means they have no nasties! They burn clean and are also soot free, so if you're not a fan of the way that some candles burn then I'm sure you would love Parisian Vanilla & Fresh Lavender. Both candles retail at £6.99 which I personally think is a great price, especially as they burn clean and are very long lasting! 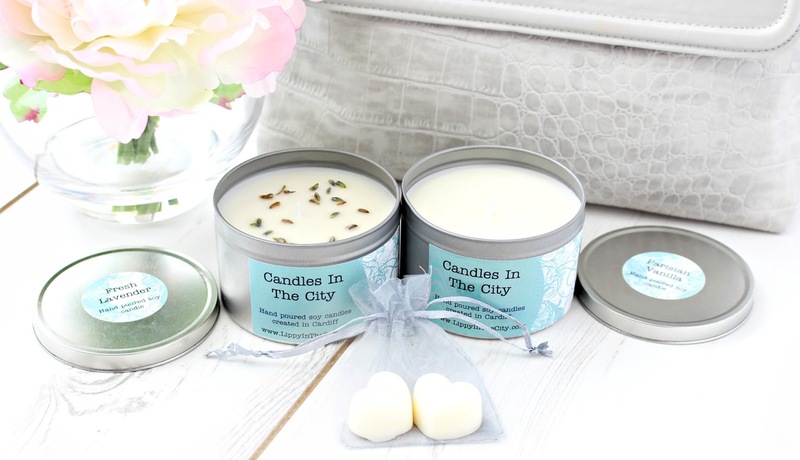 Or you can also buy them as a gift for £14.99 which includes the two candles and 4 mini Parisian Vanilla Heart-lets, which are suitable for oil burners. Overall, these candles are fabulous and they work great as a pair! 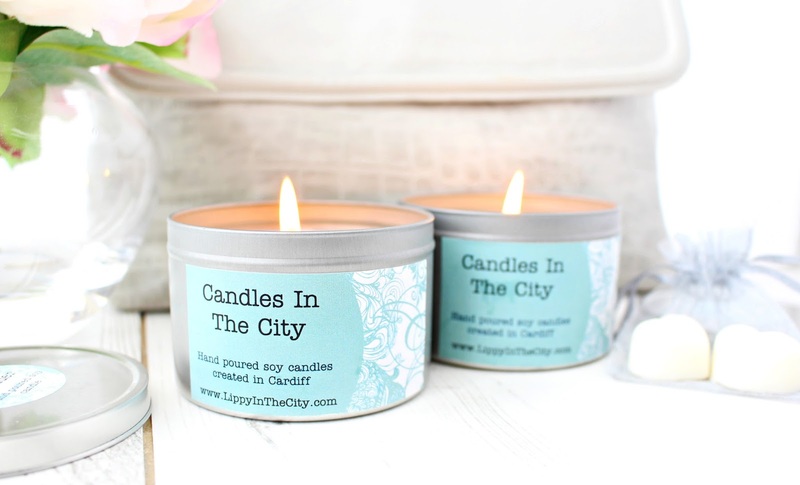 If you're in the market for clean burning candles that smell divine, then pretty please check out Candles In The City. I love being able to support my friends/fellow bloggers via my blog and sharing the love is still my favourite part of blogging! Hope you all had a fantastic weekend? On Saturday I posted my March #BloggersRecommend post where myself and four other bloggers shared our Skincare Saviours. It would mean the world if you checked it out, as I'm really trying to diversify my blog content and what better way to do that than sharing my blog with some fantastic bloggers! 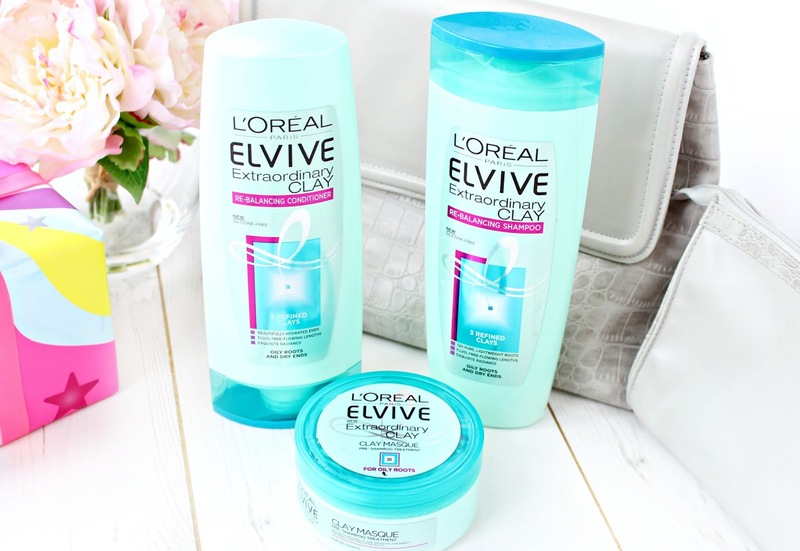 Today's post is going to be about some fab new hair care products I've been trying from L'Oreal. I hope you enjoy this post my loves and I would love to hear from you in the comments section below. Don't forget you can also use my social icons if you would like to get in touch a little quicker, or if you fancy a chat! 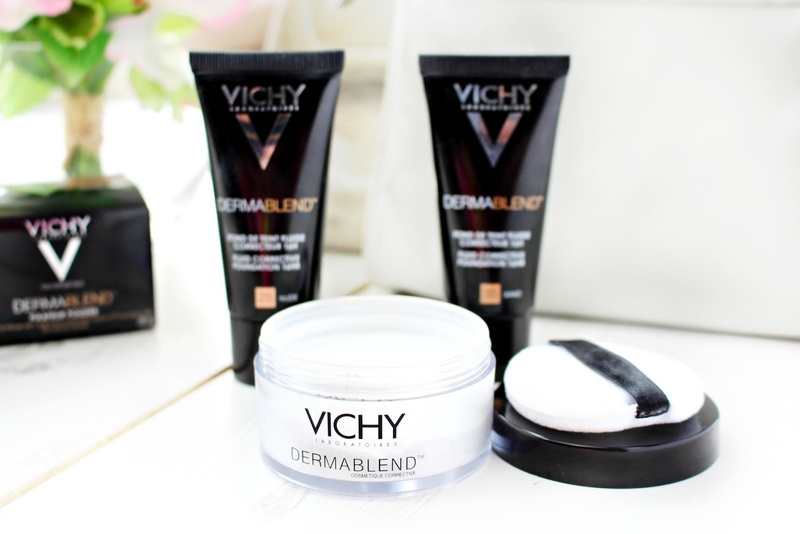 I first heard about this range after seeing Fleur De Force talk about it on her Blog/Youtube channel. The hair gods have finally answered my prayers!! I've always had greasy roots, but dry coarse ends, which has previously made it hard to find a shampoo, conditioner & mask trio to truly suit my hair type. I was excited to hear about the Extraordinary Clay Collection, as it sounded right up my street! (Plus it's silicone free) I wanted to review this a week after because I liked it so much initially, but I decided to give it just over a month to make sure that the results were long lasting! I purchased everything apart from the dry shampoo, as I already have a almost full batiste volume to use. First up, the Rebalancing Shampoo is designed to revitalise your scalp without stripping it or making it feel dry/uncomfortable. Oil produced from the scalp can easily build up, which can weigh down the hair and leave it looking visibly greasy. I'm a culprit of over-washing my hair to combat this, but actually the over-washing removes fibre and can leave your hair feeling dry and uncomfortable. L'Oreal have combined 3 Refined Clays to create the first re-balancing range, resulting in balanced, bouncy and beautiful hair. The use of the Re-balancing Shampoo and matching conditioner is meant to purify the scalp for up to 72 hours giving the hair a fresh and light lift with the added benefits of softness, shine and bounce. 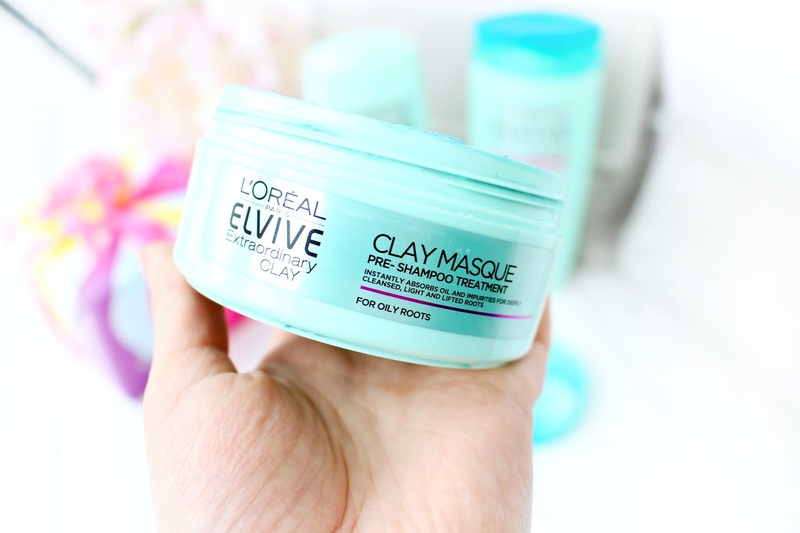 Finally, the Clay Masque is specially designed for people who suffer with oily roots, as its bouncy gel like texture instantly absorbs excess oil, leaving your hair completely revitalised. But did it live up to its promises? After using this for over a month I'm happy to say that my hair is left feeling as it should after using this range. The thing I've noticed the most is the impressive root lift I experience after using all three of these products together! My long and sometimes greasy hair can result in my roots being flat and basically looking like my hair is stuck to my head (obviously it is) but you know what I mean ha! It's nice to wake up with a bit of va va voom and I have also noticed an improvement to the mid-lower lengths of my hair which can get quite coarse and dry. I wouldn't say the effects last three days for me personally, but two days is more than enough for me! I tend to wash my hair every other night, which is so time consuming with the length and thickness of my hair. 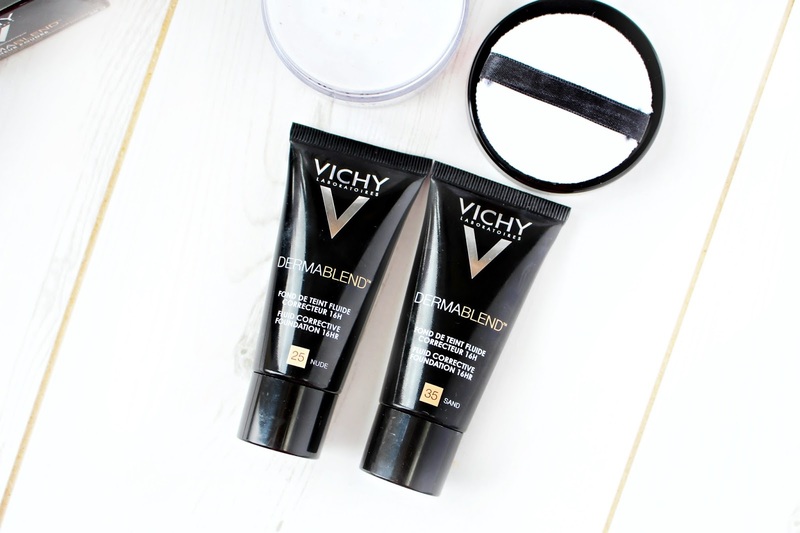 Overall, I'm really impressed with this range and I have to give a special mention to the masque which I love. It's messy, but fun and it does the job. I also have to mention the packaging and even though you shouldn't judge a book by it's cover, it really does look great in my bathroom! I think the Extraordinary Clay Collection is well worth checking out if you're a sufferer of dry ends and oily roots (It's currently on offer too) It has definitely kept my wild locks and bay and I particularly like the masque. It's pretty messy, but does a good job of soaking up excess oils without irritating my scalp. Like a lot of L'Oreal products the Extraordinary Clay Collection is heavily scented, but in a nice way! I think if you're sensitive to fragrance then maybe this wouldn't be the right option for you. However, I'm super happy with the results and I might even try the dry shampoo too! I would love to hear your thoughts on this collection lovelies, have you tried it? #HappySaturday. I'm back with my March instalment of #BloggersRecommend "Skincare Saviours" I had such a positive response from my first post 6 Lipstick Lovin' Bloggers and knew that this was a series I really wanted to keep going on my blog. #BloggersRecommend is a series where myself and a new group of bloggers each month can get involved and discuss a topic voted for via a Twitter poll. I love the blogging community and thought this would be a nice way to get more fantastic bloggers involved on my blog and of course to share different products and opinions. If you would like to get involved then please leave a comment below, as I will shortly be looking to plan the April #BloggersRecommend post. I also want to a say a huge thanks to all the bloggers who got involved with this post and it would be amazing if you could show them support by checking out their links! My Skincare Saviour has to be the Seaweed Pore Cleansing Exfoliator. 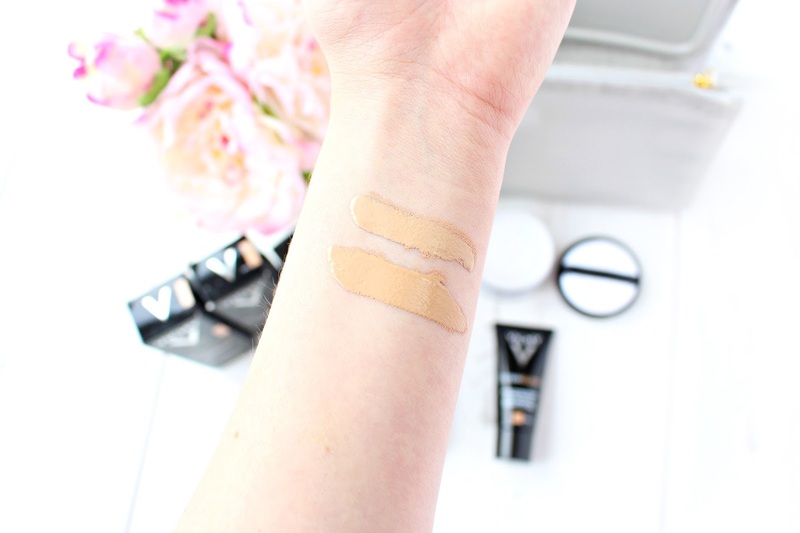 It's the only skincare product I've used continuously for 2 years and there's a good reason! It’s full of tiny jojoba beads that work when you rub them against the skin. It is pretty harsh but that’s why I love it. It removes dead skin better than any other exfoliator I’ve ever used. I use this once a week in the shower and my skin is always fresh and free of dry patches. My pores feel tighter and when used in conjunction with a few other products they definitely appear smaller! My skin is always brighter and fresher and I look forward to using this every week. 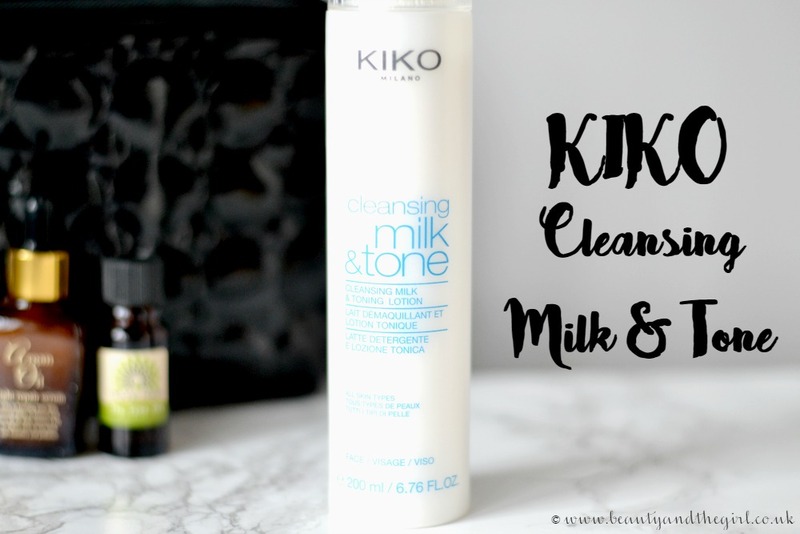 KIKO's Cleansing Milk and Tone is my absolute favourite skincare product. I use it every morning and evening as part of my skincare routine. It removes all traces of makeup on my face, along with all the day's dirt and is so easy to use. The milky formula leaves my skin feeling so soft. It's a quick, convenient and cheap product, ideal for every day use. Another perk is that it lasts a long time (a little goes a long way). The only little 'complaint' I have is that it doesn't really act as much of a 'toner' because as soon as you put it onto your face, you rub it off again, so the toner doesn't have much time to act. I tend to use another toner after I have rinsed this cleansing milk off. Having to use another toner doesn't really bother me too much. It's a brilliant cleanser which compensates for that. It will probably always be one of my skincare essentials. I mean, what more could you want? It's affordable, pretty and does the job, perfectly! When India asked me to write about a skincare saviour for her bloggers recommend series, my mind instantly flitted to the Pixi Glow Tonic. I'm on my fifth bottle of this exfoliating liquid toner and have ditched traditional scrubs in the process. I use it morning and night, finding that the benefits increase from daily use. 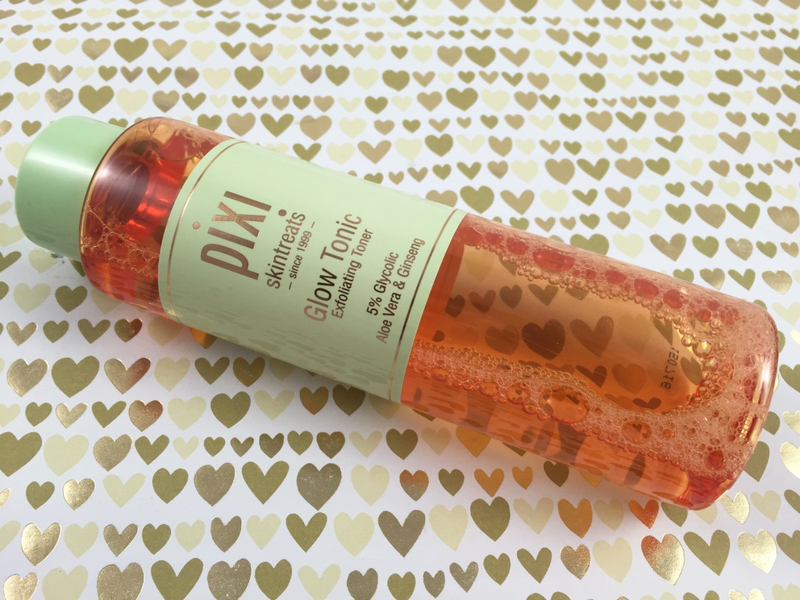 Containing Glycolic Acid to loosen and remove dead skin cells, the Pixi Glow Tonic is so effective at keeping dryness at bay and making my skin look refreshed and brighter, without feeling harsh or abrasive. Thankfully it's alcohol and oil free and other ingredients include Ginseng, Fructose, Aloe Vera and Horse Chestnut, which actually work to stimulate and provide oxygen to the skin. Exfoliating so regularly also means that my skin is noticeably clearer; those nasty cystic like spots are pretty much a thing of the past for me now! Any breakouts I do have heal much quicker (thanks to the inclusion of Witch Hazel) and the leftover red marks don't take so long to fade. I highly recommend the Pixi Glow Tonic and completely see why there's so much hype surrounding it. Its advertised for normal to dry skin, but my oily/combination skin loves it, I just make sure I hydrate my skin after to restore the balance. Hi guys! Zoe from Face Value Blog here. My skin needs saving most days and I rely on La Roche Posay Toleriane cream to keep it even and smooth. I would never have said I had sensitive skin but during a stressful time at work, teamed with cold weather and a bit/a lot of boozing, I ended up with a mild red breakout across my face. At first I thought it was just acne but spot cream had no impact - it turns out that my skin was actually going through a sensitive phase. Made with fancy, French thermal water, the Toleriane cream helps to soothe any irritation, whilst moisturising dry patches and keeping my face blotch free. My skincare saviour! Anyone who reads my blog will know I'm a major skincare junkie, so it was really hard to choose just one product. I was going to opt for my Estee Lauder ANR, but I've raved the life out of it on my blog, so I thought I would go ahead and share another personal skincare saviour. 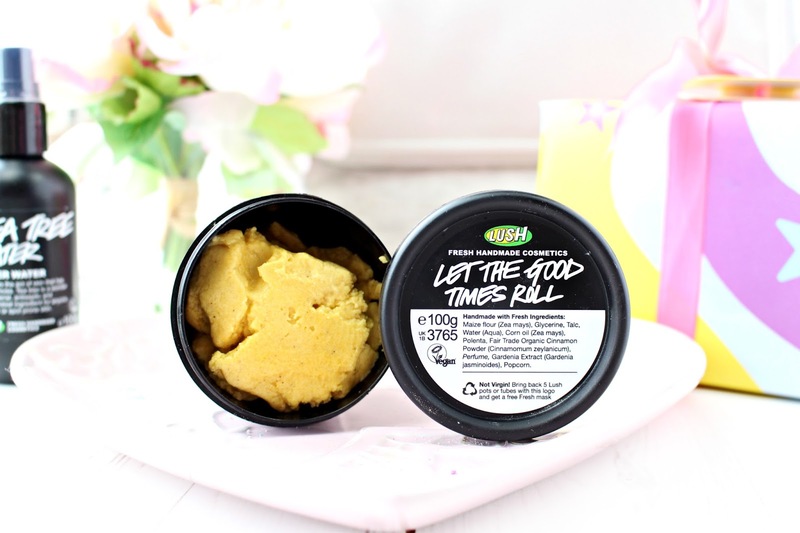 Let The Good Times Roll is an exfoliating cleanser by Lush, which first and fore mostly smells out of this world (like buttery popcorn). However, I love this because it exfoliates my skin like no other! 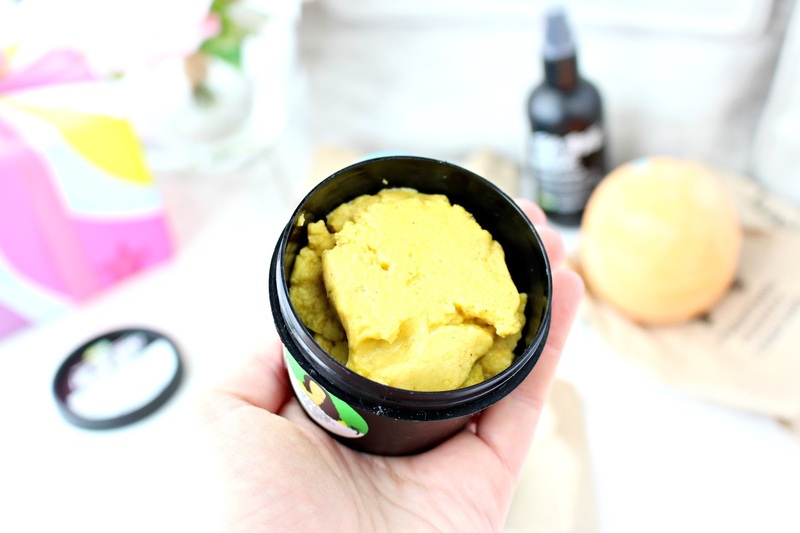 popped corn oil, polenta, maize flour and cinnamon create the perfect recipe to gently exfoliate and soften the skin and I love how my skin looks and feels after using this exfoliator. I tend to use it once/twice a week to really buff away all the build up from the previous week, plus it's a super sweet treat! I hope you've enjoyed March #BloggersRecommend and I just wanted to say thanks again to everyone who took part! If you would like to get involved or can think of a good topic, then pretty please leave your details below! I store them all and I can't wait to start planning for April! PS - I would love to know what your skincare saviour is? Hope you've all had a fantastic weekend? Today I went on a long walk amongst the beautiful Welsh countryside and it honestly did me the world of good. Last week was pretty testing and a long walk was just what I needed to completely clear my head and get in a more positive state of mind for the week ahead. I'm in a pretty good place with my blog right now and my posting is definitely more consistent and I'm getting some great feedback, which of course means the world. I think it's important to blog for yourself first and foremost, but there is nothing I love more than connecting with my readers and creating content that is well received! So seeing as I'm Miss Positive right now, I thought I would go ahead and talk about a fantastic product that I've been trialling and also a Giveaway too! Woohoo. I'm excited for this one, as I really love this product and I'm excited to be giving it away to a lucky reader. On a Sunday at around 4pm I start my pamper routine, which includes a full skincare routine, a nice bath and a good old hair wash! The only part I'm not fussed on usually is drying my, but luckily the Remington Shine Therapy Dryer has come to my rescue. I hope you enjoy this review lovelies and I would love to hear from you in the comments section below. Anyone who knows me will know that drying my hair isn't my favourite thing to do! Due to the length and thickness of my hair, I find that drying it just takes too long. I either part dry it with a hair dryer or let it dry naturally, which can be a pain if I'm heading off somewhere. I was interested to see if the Remington Shine Therapy Dryer would change my perceptions of lengthy drying! 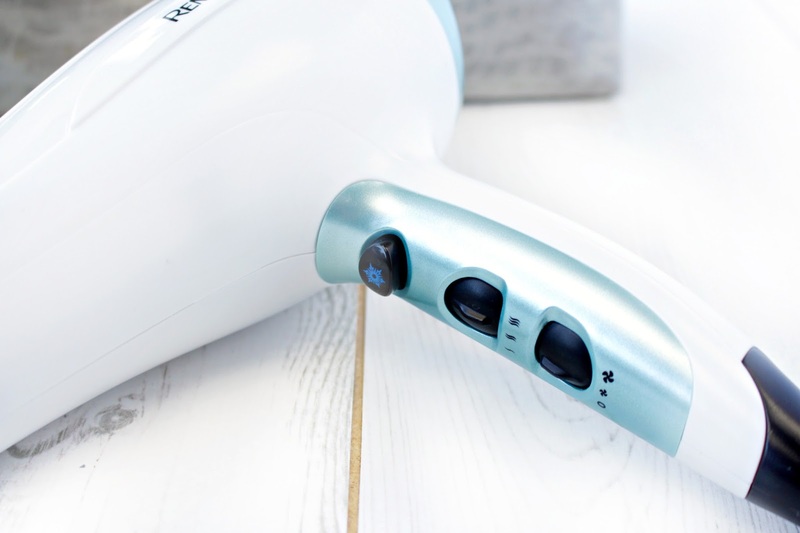 The Remington Therapy Dryer is designed to deliver beautifully glossy and frizz free shine. The dryer uses a state-of-the-art ion generator, which emits 90% more ions for incredible, long-lasting frizz dree results. It also packs a punch with 2300 watt's of power with a speedy airflow of 85km to deliver fast drying. 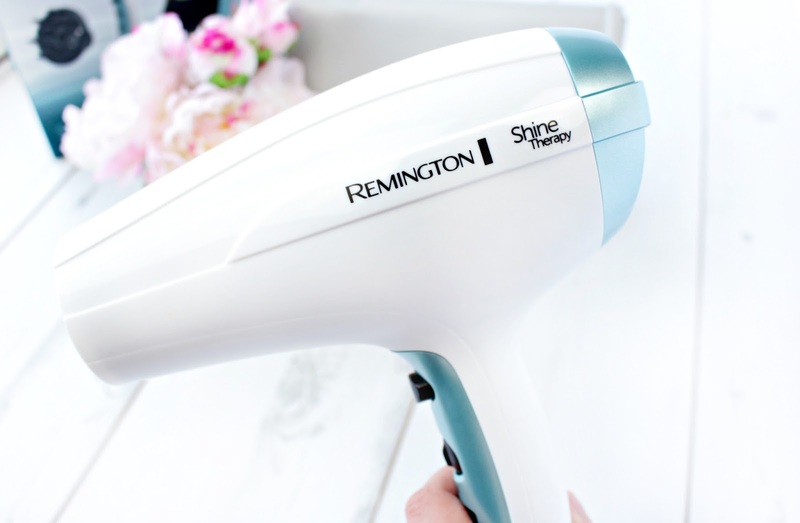 The Remington Shine Therapy Dryer comes with two additional attachments the concentrator nozzle, which helps to focus the powerful airflow down the hair shaft to deliver accurate styling and also the more traditional diffuser, which helps to reduce frizz and create impressive volume. I have been SO impressed with this dryer, mainly because it halves drying time. I actually tested an older dryer against this and there really was no comparison! 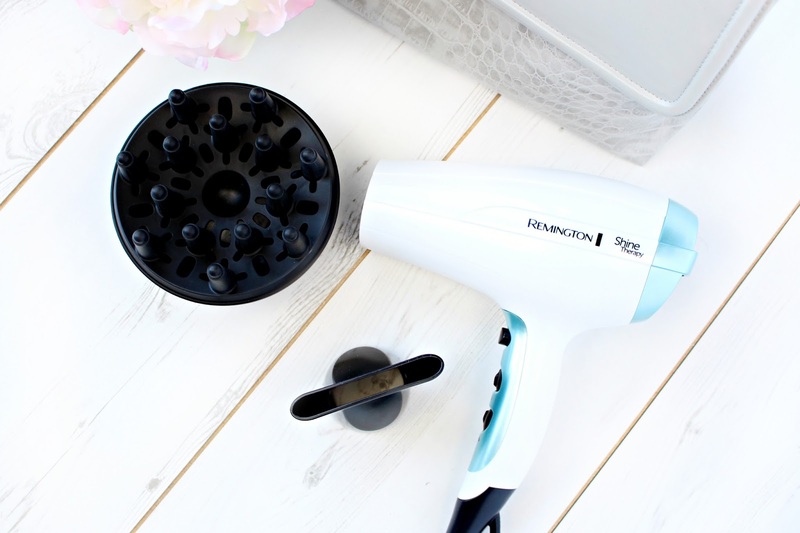 I'm always here there and everywhere, so an efficient dryer like the Remington Shine Therapy Dryer means that I can properly dry my hair without hanging around for what seems like a lifetime, plus my hand hurts when I have to wait to dry my long hair ha! #FirstWorldProblems. Another handy features the cool setting, which I love in a dryer! I find it helps to tame hair and give it a lovely glossy shine. Overall, The Shine Therapy Dryer has really impressed me! Everything from it's attractive design to it's power. 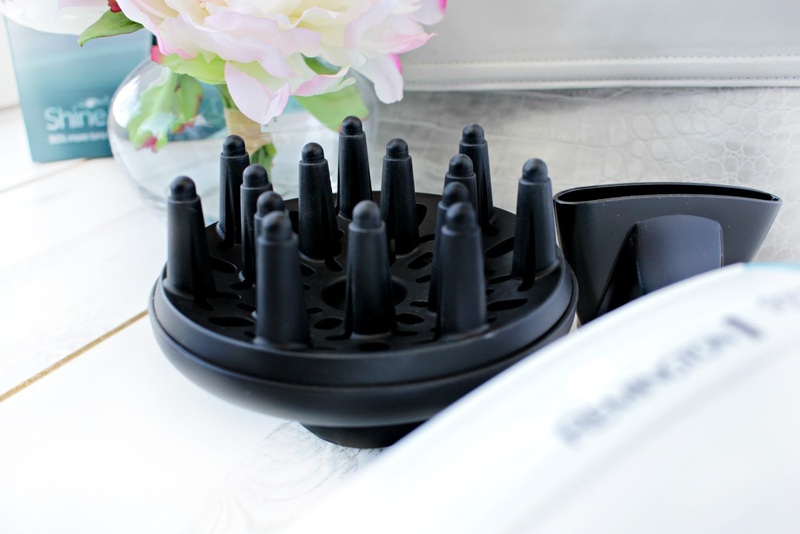 It halves the time that drying my hair usually takes and I particularly like using the larger attachment and find that it drys my air evenly and efficiently, whilst giving me some much needed volume at the roots. 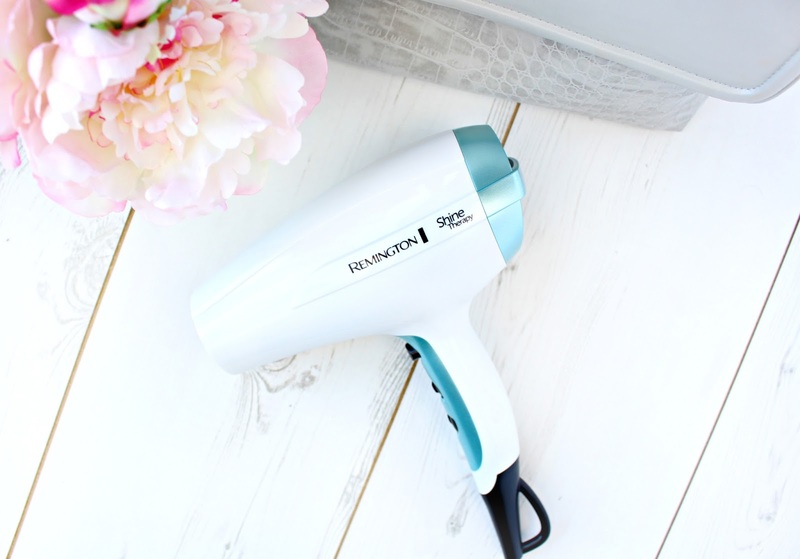 My hair is definitely less "Fly-away" after using this dryer and the cool setting is a great way to hold your style in place, as well as adding a glossy shine. I'm really excited to be able to give away not only one of these fabulous dryer's with thanks to Remington, but also a super cute Cath Kidston Umbrella & a Remington hair brush! You never know when the weather will turn in the UK, so this little kit will keep your locks looking their best at all times! - Please use the Rafflecopter widget to enter the competition, this competition is open to UK entrants only. Happy Saturday =] I've been a super busy bee today and haven't actually sat down for much longer than 5 minutes (until now) Today has consisted of food shopping, making my own Mango, Papaya & Vanilla Mojito's and a visit from my little favourite Honey-Bea. I'm doing a little blogging too, but more preparation for tomorrow, as it's going to be a really busy blogging day. I also have to shoot some footage, which I'm pretty nervous about. I wanted to write a more chatty and relaxed post, whilst the boys are watching the Rugby about a product that honestly has the most amazing mind and body benefits. Daniel can vouch for it, before I had a bath last week I was pretty down after work and wanted to be left alone... by the time I was done, I was singing and happy as larry! It's good stuff I promise. 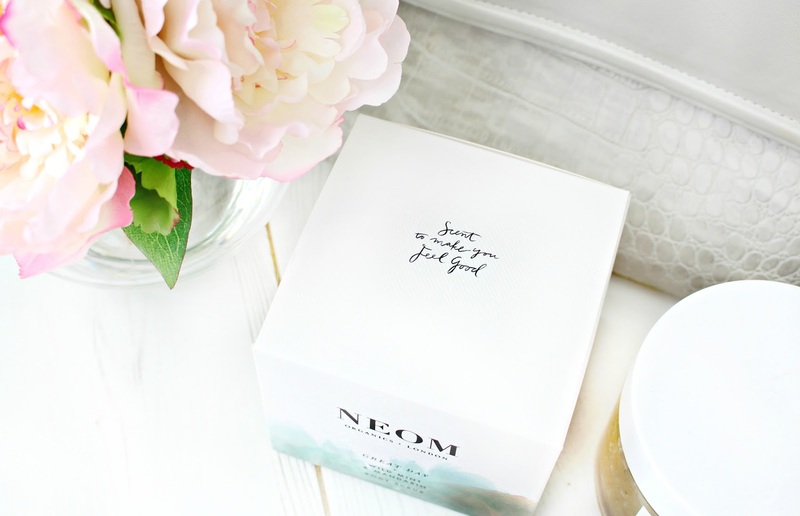 I know most of my readers already know my love for Neom and if you're looking for beautiful home & lifestyle products then I would seriously recommend checking out their website. I would love to hear from you in the comments section below. I seem to be craving anything minty at the moment! It seems to do me the world of good and I feel a lot more upbeat when I'm surrounded by a minty fragrance or drinking a cheeky Mojito like I am now. Recently, I was lucky enough to be selected to participate in a truly amazing programme #NeomHappy100 and the Neom Great Day Body Scrub was a key part of the programme. 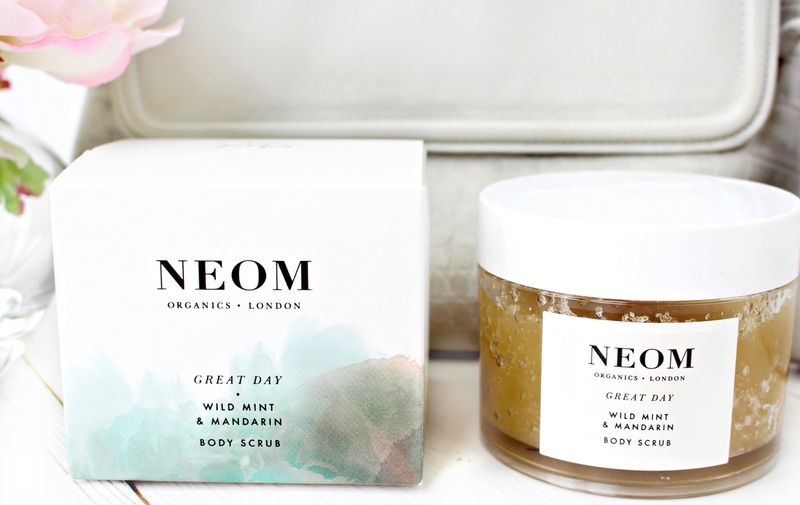 Neom body scrubs are sugar based and contain the highest possible percentage of the purest possible essential oils, which helps them not only to smell amazing, but to also have therapeutic benefits for the mind and body. Sugar, Safflower, jojoba and Vitamin E remove dead skin cells and leave you with re hydrated and honestly the smoothest skin ever. The "Great Day Body Scrub" combines 8 essential oils including Mint which is great for stress relief and Mandarin, which is known to lift your mood and calm the body. The fragrance is honestly so energising, but in a calming way that It can be used for an invigorating morning shower or for a relaxing bath at night to gain more clarity and focus. I massage this body scrub in circular motions, whilst breathing in the fresh invigorating scent of spearmint, lemon and mandarin. After using this product I feel like a different person! Daniel's mum even mentioned how amazing it made her feel after using some of mine. It's a real power product and I've found over the past few weeks it has been there to give me a boost, when I've been a little down. 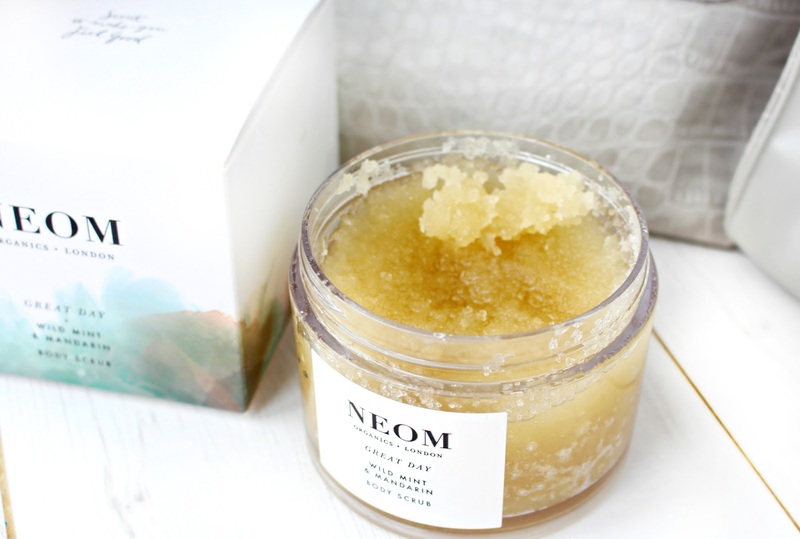 I'm in a little bit of a whirlwind at the moment, so any me time I can get I'm seriously grateful for and "Me time" would not be complete without my Neom Great Day Body Scrub. I would love to hear from you lovelies below! What is your favourite body scrub or do you have a product that really helps you to relax after a stressful day? Hope you’ve all had a fantastic weekend? I've been a busy bee taking blog pictures today, but I did have a bit of a nightmare with my lighting and a few of my shoots haven't turned out as well as I would have liked #bloggerporbs. I've got a super busy week ahead, so I wanted to make sure that I spent today organising everything to help to reduce any mid-week stress. I must admit I love a good old pamper! I try to schedule in two pamper evenings a week, one on the weekend and another midweek. I honestly believe that a spending a little time here and there on you is the best way to de-stress and re-focus. Yesterday, I went on a super fun shopping trip with Daniel and Honey Bea (My Niece) and oh my god, I forgot how much fun Toy shopping was ha ha! 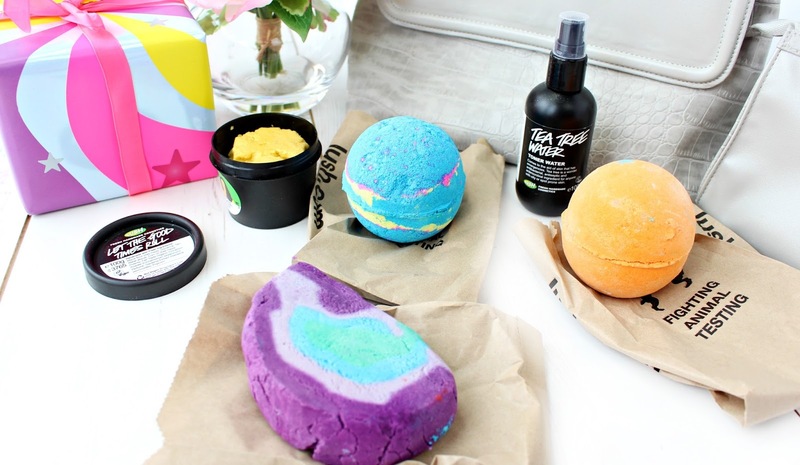 It was such a lovely day and even though I didn’t do much shopping myself, I did pop into LUSH to get a few bits for a lovely pamper evening (or three) – I put a poll out this morning and the LUSH haul won, so I hope you enjoy reading about the few bits I picked up whilst on my travels. I purchased the Ultra Violet Bubble Bar last week for the first time and it’s very quickly become one of my favourite Lush products. I had a bit of a panic when I found out it was LE, so I had to go back and pick up another to keep me going a little longer. Violet is such a nostalgic scent for me and reminds me of spending amazing weekends away in Devon with my family when I was younger. It really reminds me of when life was simple and every time I smell a Violet scented product, I pretty much always buy it! The Ultra Violet Bubble Bar combines a decadent mix of violet and jasmine, with twinkling snowflake lustre. 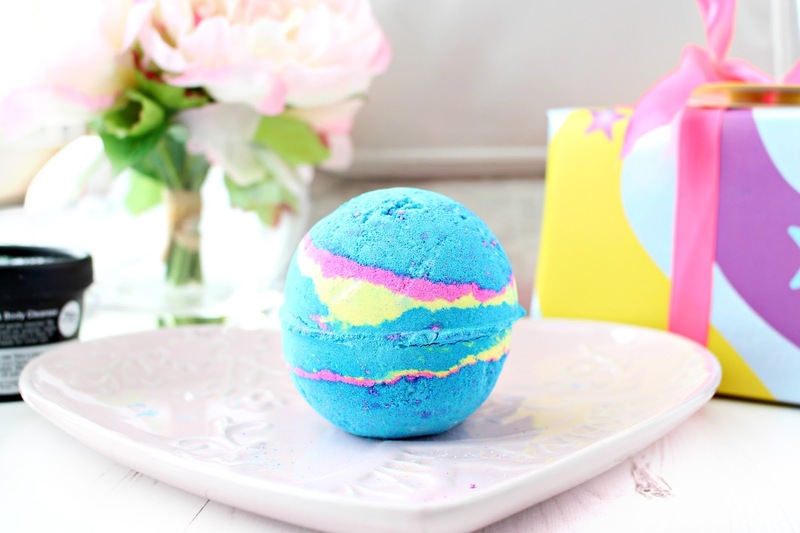 Rosewood adds a deeper note to this super sweet bubble bar and not to forget the gorgeous sparkly purple water, which genuinely looks like something a Unicorn would bathe in! The bubbles are fantastic and you can easily get 4-5 baths out of this, I just love it and had to stock up. 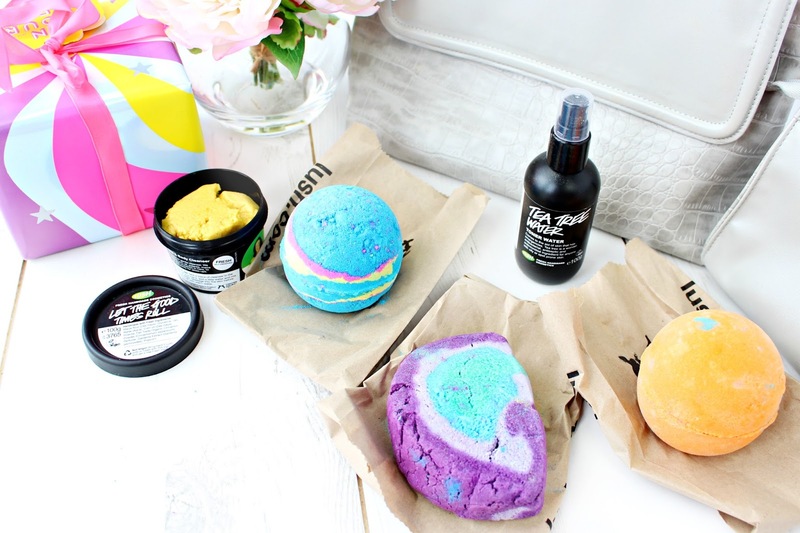 Whilst in Lush it definitely seemed like I was going for all the fun, exciting and refreshing products, so I thought I would pick up Yoga Bomb to add a bit of Zen to my Lush Haul. I haven’t actually tried Yoga Bomb before, but follow me on my Snapchat for a live demonstration |JewelBeautyBlog| Yoga Bomb contains soothing sandalwood, relaxing olibanum and ho wood to create a meditative state of mind. Slow mesmerising shades or oranges, purples and turquoise fizz to create your own little sanctuary. I can't wait for this one! I also purchased this bath bomb last week on my travels and again I was so wowed by it that I knew I had to get another! I love a bath bomb to be fun and Intergalactic sure is fun. Intergalactic is a super refreshing mix of peppermint, vetivert and cedar wood that helps to add some warmth. It also has popping candy, which is just awesome! 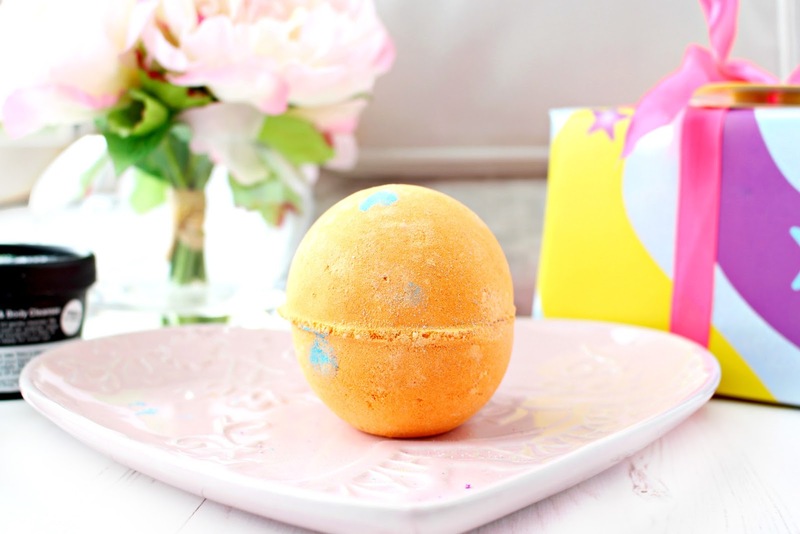 I love popping candy so much and always pick up a bag if I see it in a sweet shop (Big kid alert) This Bath Bomb really is something else and it almost feels like your in the middle of a galaxy as the bath bomb swirls and pops, creating a super vibrant, glittery fun bath. 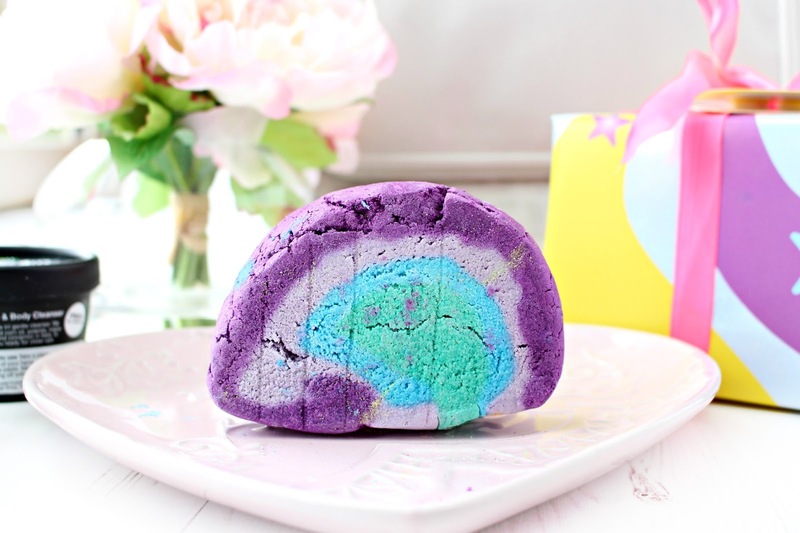 If you’re looking for a more uplifting bath bomb opposed to a relaxing one then you really need Intergalactic in your life! I’m usually pretty on it with toning, but recently I’ve become a bit lazy and I don’t know why! 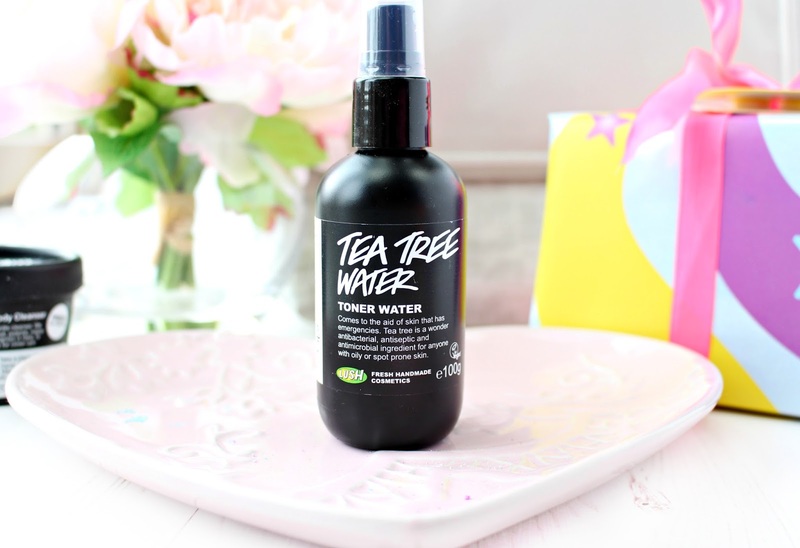 Whilst queueing up in Lush, I glanced over and saw the Tea Tree Toning Water, which seems to be a favourite amongst many bloggers! I picked one up and I’m really glad I did. I’ve only used it twice, but I was surprised and how calming and soothing this felt on the skin. Tea Tree is an amazing ingredient, but sometimes I find it a little overpowering, so I’m glad that this product is subtler than I was expecting. This toner also contains Grapefruit, which is rich in vitamins, as well as juniper berry that is also an antiseptic ingredient. Last, but certainly not least is Let The Good Times Roll, which is a exfoliating cleanser. I’ve had this little beauty in my collection for the past three years and I still can’t get over how good it smells. It reminds me a little bit of butterkist popcorn (It does actually contain popcorn), but it smells even better than that! You really have to pop into Lush to smell it and then you will know what I mean. Maize flour and polenta gently exfoliate the skin, whilst cinnamon powder gently stimulates the skin. Depending on how much you use LTGR can get a little scrubby, but I tend to mix it with quite a bit of water so it turns into a paste that perfectly buffs the skin and leaves your skin feeling beautifully soft and pampered. It’s like a sleepover in a pot!